No attorney can ever claim to be the “best” bankruptcy attorney. All California attorneys must comply with Rule 1-400 of the California Rules of Professional Conduct which prohibits false, deceptive or misleading communications. 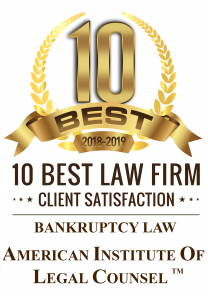 Accordingly, any bankruptcy attorney claiming to be the “best” would likely violate this rule since the classification is inherently deceptive and misleading. Therefore, no bankruptcy attorney can claim to be the “best,” but many can be honest and diligent. Instead of searching for the best bankruptcy attorney look for an attorney who is straightforward, punctual, and empathetic. A straightforward attorney will not be evasive in their answers or noncommittal of what is and is not included in their fee. Likewise, an honest attorney will not quote one amount where a different amount is identified in the representation agreement. While the difference between the verbal quote and written amount may be technically honest if the attorney is careful with their language, the practice may have the intended effect of misleading you as to the total cost of bankruptcy. For instance, if an attorney tells you that they charge $2,000 for a chapter 7 bankruptcy, but does not tell you that the fee does not include the several hundred dollar filing fee and several incidental expenses, their quote while technically accurate is nevertheless misleading. What you care about is the final cost of bankruptcy, not just what the attorney charges. By omitting these inevitable costs from their verbal quote and only indicating these costs in the written representation agreement you may be misled as to the total cost of bankruptcy. In essence, you are not the expert and do not anticipate several hundred dollars of expenses apart from the attorney’s fee. In contrast, the attorney is the expert and should tell you what their fee does not include before you sign the representation agreement. Lastly, the attorney should be empathetic. This point may sound odd but an empathetic attorney is more likely to care about your situation and you as a person.